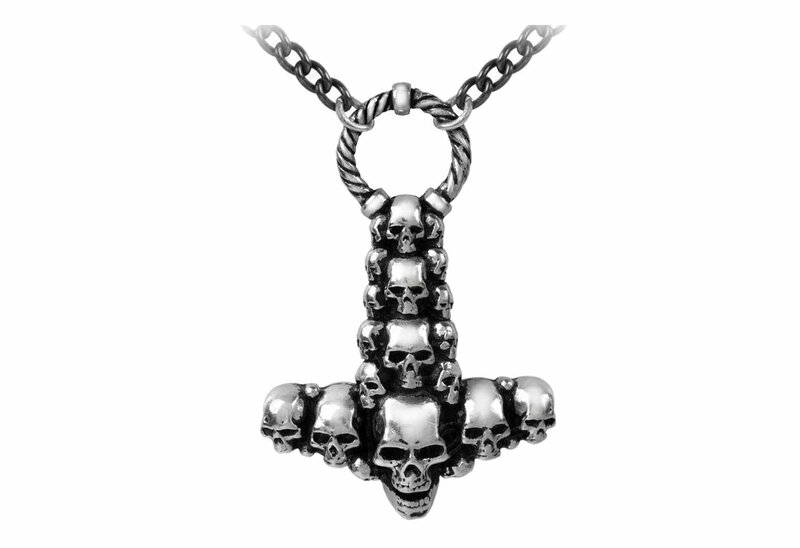 A deathly interpretation of Mjolnir, the skull-crusher of Thor, the Norse thunder god's hammer, capable of leveling mountains and destroying armies. 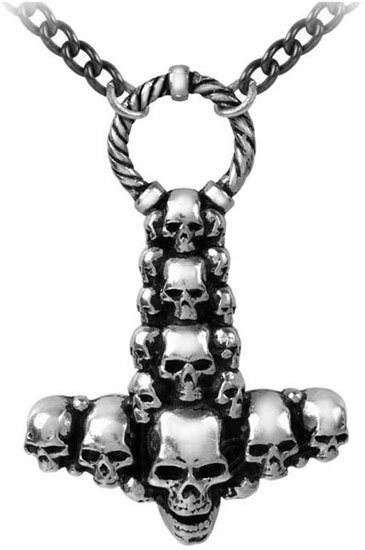 A polished pewter Hammer of Thor, made-up of a mass of human skulls surmounted by a torque-twist ring. 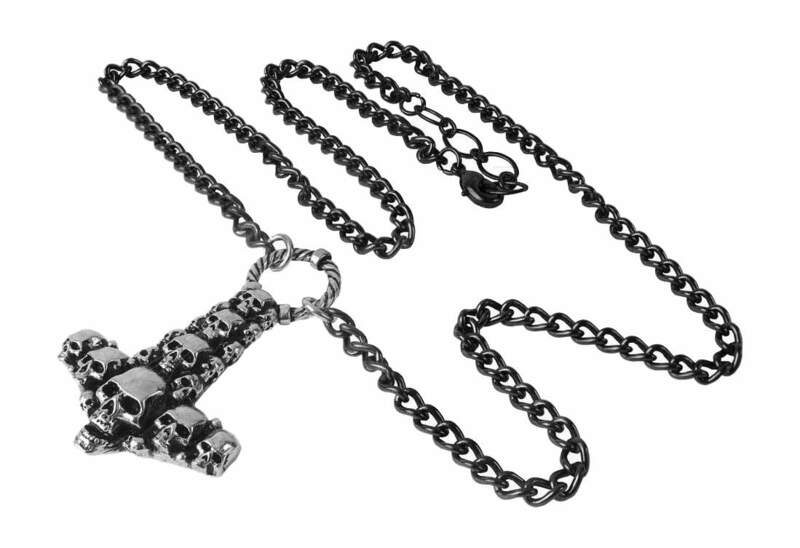 On a 21 inch black curb chain with 1.5 extender chain. Measures approximately 1.4 inches wide x 2 inches high and 0.3 inches deep. Made of fine English pewter. By Gothic Alchemy.